Ever since I heard about The Knitting Guild Association's Masters Program I've been strangely drawn to it. The idea of pushing myself to learn a bunch of new techniques, and to have an organized collection of beautiful swatches lying around to help guide my designs is extremely attractive. ...However, mama didn't raise no fool. In no lifetime will I spend $300 to be given the privilege of learning a bunch of techniques on my own, with my own materials, just so I can have someone else judge them and give me a pin. A pin! They claim, of course, that it will help business (if you're in the business of designing or teaching knitting, etc.) 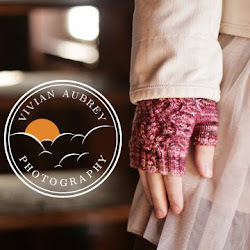 and while I think it's true that the things you LEARN will certainly help, I can honestly say I've never been more or less swayed to use a pattern or listen to an experienced knitter's advice based on their pin-winning. Alex's Super-Comprehensive, Mostly-Free-Pattern-Based, Tailor-it-to-your-needs "Masters Program"! Or as I like to call it, "Stashbusting the Educational Way"
- experiment with numbers, styles, etc. -Linen stitch, trinity stitch, and anything else I can find in my stitch dictionary that I think is cool or involves an unusual technique. If you're a new knitter, swatch the basics, but I'm too lazy for that and pretty confident in my stockinette ability. -This stitch pattern. I'll probably just make the gloves, because I like them. 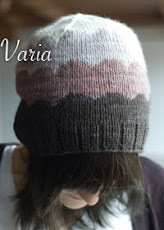 Veronik Avery's Short Row hat Careful, pdf. - toe-up cast ons, etc. - unconventional Francie. Not free, but so cool. -Do everything Eunny says again. I'm a wimp and I hardly like lace, so I went a bit easy on this portion for now. By all means, do something more challenging with it. -steeks: Do everything Eunny says. (I'll probably just make up my own thing, but there are tutorials floating around, like this one here and this one. Counterpoint Scarf - Formerly on Magknits, now only on Ravelry. Sorry. Vertigo, also only on Ravelry. Some neat stuff from "Knitting New Scarves"
Thanks a lot for the programm... I think I'll follow you and don't spend 300 $ for a pin. I'd prefer to put this money on yarn ! By the way, your pictures are always so esthetics !!! It's always nice to see your knitting and your "mise en scène". Hey! just ran across your etsy shop, which brought me to your blog. love your stuff! There's a hat that you have up...its first in the store....can you tell me what yarn that is? I absolutey love that variegated color!!!! Feel free to check out my blog! It links to my etsy too, although its not that impressive! Just recently started selling, and my pics aren't that great! Have an awesome day! also- Congrats on having a featured product! And thanks for letting me know I had something featured, haha. They don't notify us or anything and I wish they did. That's the DIY spirit! Great idea. I may do the same someday when deadlines stop breathing down my neck. So rude!